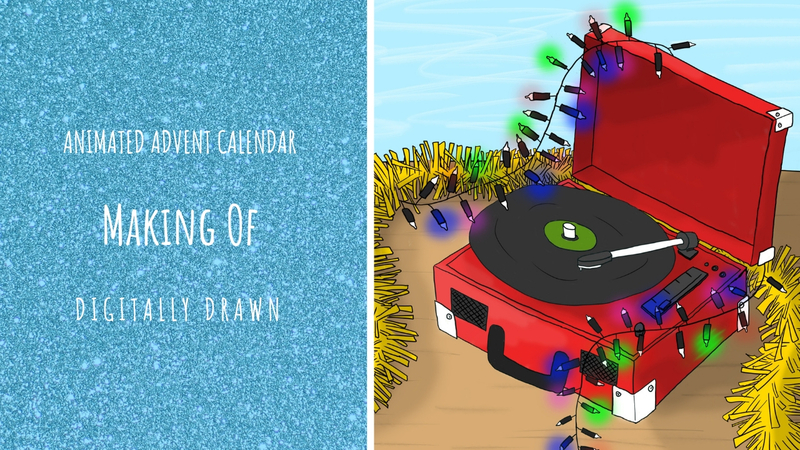 For quite a few years I have planned on making this animated advent calendar to countdown to Christmas. But for the past few years I have had too much on to be able to do it justice. However this year I finally decided to take on this challenge, and boy was it one! When first coming up with ideas I knew I wanted to use a range of Animation techniques to create the films for each advent door opening. So I decided on aiming for 5 different animations in 5 different styles that I shall be exploring in each of these ‘Making Of’ Posts: Stop Motion, Pixilation, Digitally Drawn, Hand Drawn and Cutout/Other Experimental Techniques. 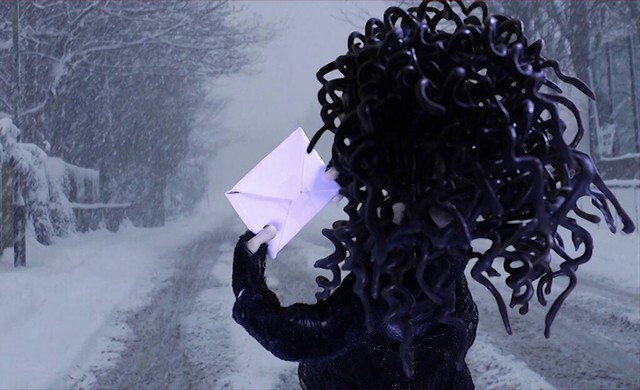 For the actual film ideas themselves I began by listing all the possible symbols of Christmas I could think of; from Angels to Ice Skating and Snow to Turkey Dinner, I wrote out this long list of about 50 different things and then started to pair up ideas that went together well into 25. One for each door [including Christmas Day]. I then divided them into the 5 animation styles and started writing out story concepts for each short. 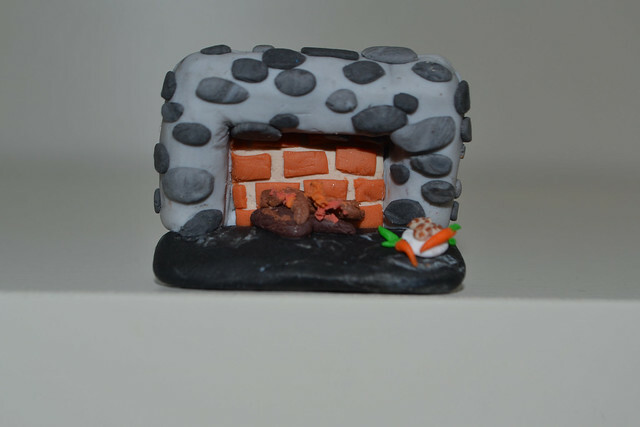 Under the category of Stop Motion I originally had ‘Carrots, Cookies + Fireplace’ where we see a crackling fire going. ‘Present’ with a present being unwrapped. 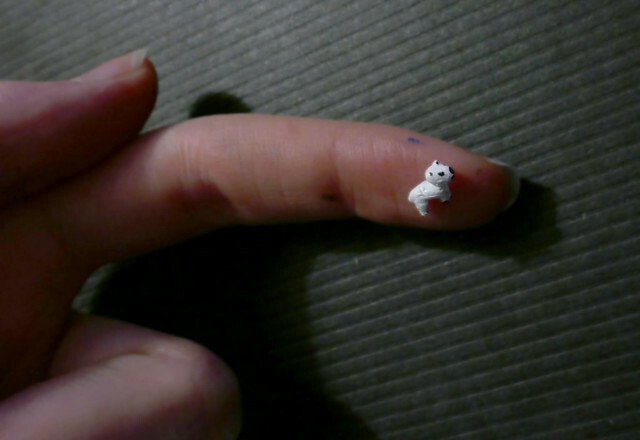 ‘Penguin and Polar Bear + Snow Globe’ which would have a handmade snow globe shot in closeup. 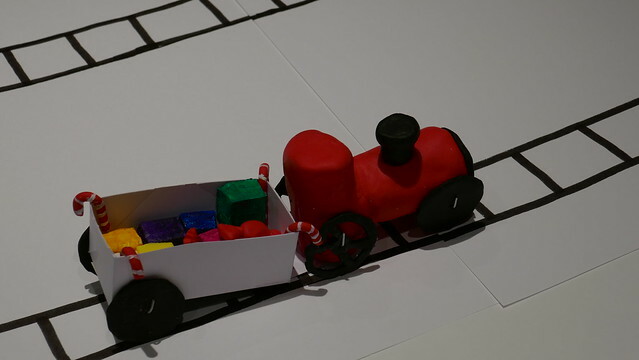 ‘Candycanes, Nutcracker, Train on Track + Sweets’ having a train on a track manned by a nutcracker and carrying sweets. And finally ‘Reindeer + Sleigh’ on a rooftop with a sleigh full of presents and a reindeer munching on a carrot. 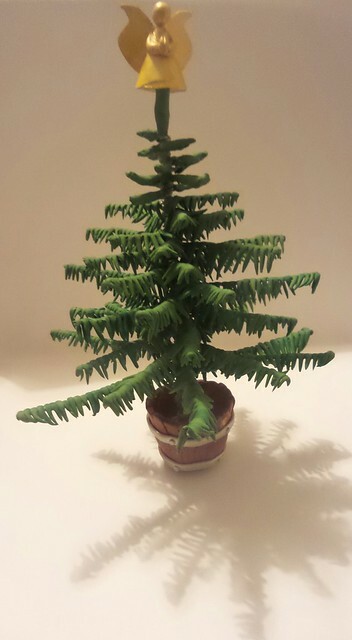 When it came to creating, animation and editing these films from September through to December I found the time constraints difficult so had to cut the ‘Reindeer + Sleigh’ film and actually made two new films from re-worked old footage..
FIMO Baking Clay and painted bucket turned into pot for Wire formed tree, covered in green Plasticine for the pine needles. Card crafted and painted angel. 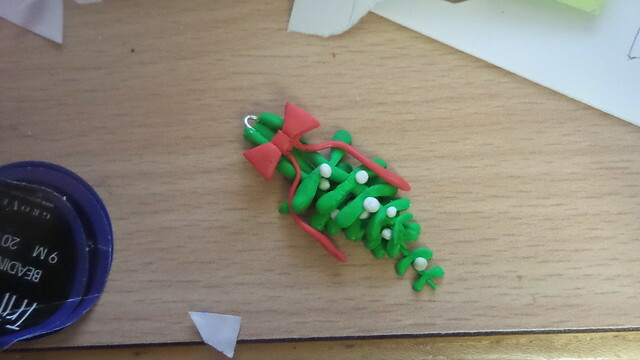 Wire top to hang off, FIMO baking clay crafted. Paper and Card crafted Gift box, wrapped in Christmas Wrapping Paper. 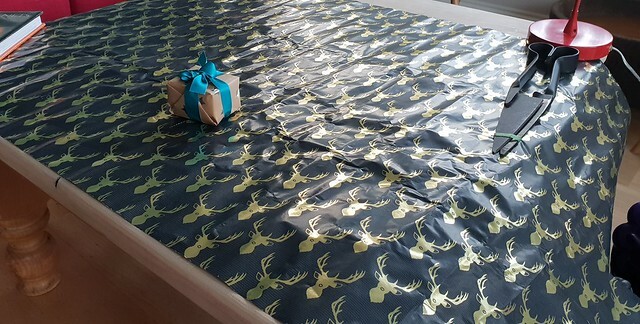 Animation Table covered in different Christmas Wrapping Paper. Can see here being captured with the ‘Stop Motion Animation’ feature on my Panasonic DMC-TZ100 so shows ghost images of previous frames. 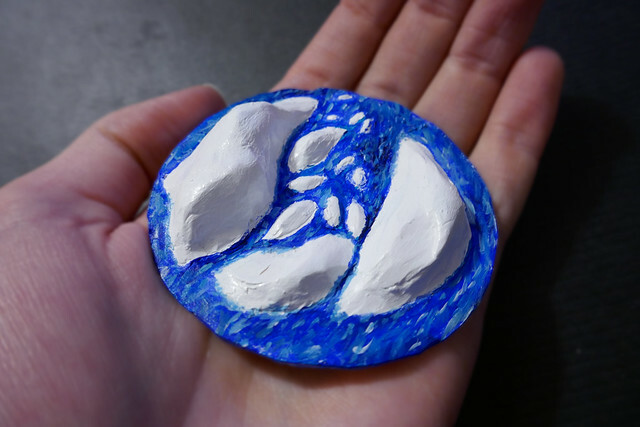 Sculpey Baking Clay crafted and painted elements to build up this Ice Scene. 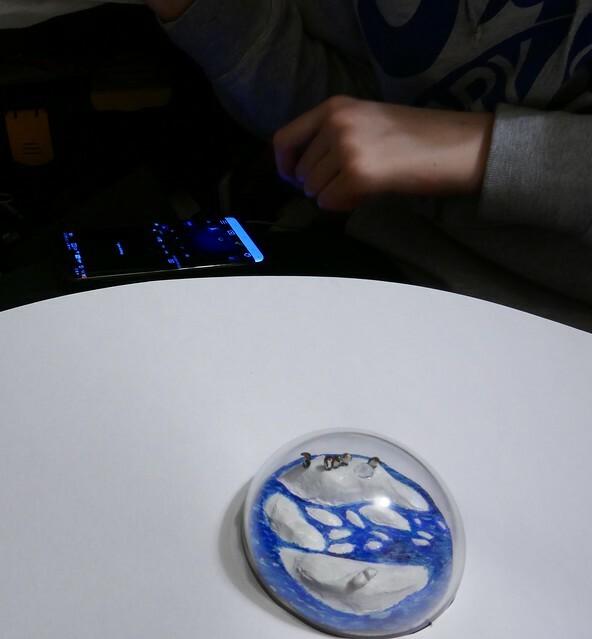 Tin Foil and Glue Gun Test to try make own Globe for Snow Globe. You can see here in the Plastic Clear Dome, Tricked to look more Snow Globe Shaped. This also shows the great phone connection you can use to control the Panasonic DMC-TZ100, making it so you don’t have to risk wobbling the camera between shots by touch taking photos or have to spend extra on a device to do this by remote. 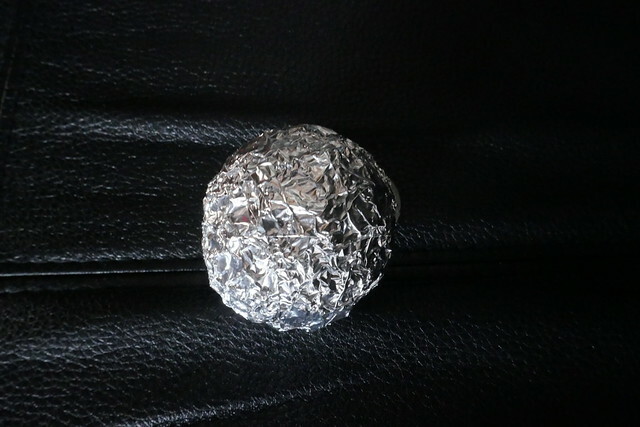 Tin Foil bulk out inside of FIMO Baking Clay for the train. With wire through the wheels to make them turn. Paper folded carrier, and FIMO baking clay crafter sweets. 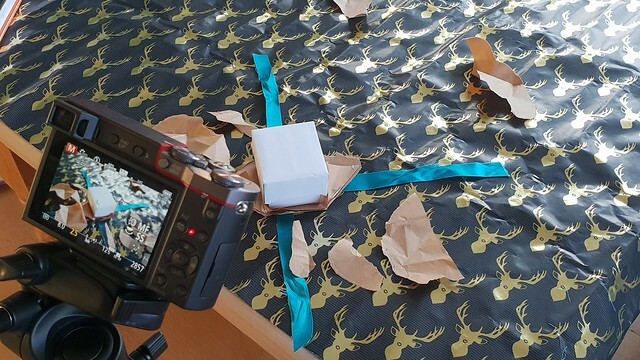 Here you have the first section of ‘Making Of’ elements for my Animated Advent Calendar. Looking back on this project if I were to do it all over I would have started much earlier with my full time job on the side. However I am still very happy with all the work I have managed to produce in these short films. Come back next week to learn all about the Pixilation Elements of Animated Advent Calendar!